The Niner Cogalicious RDO Titanium Cog has a surface hardness that far exceeds aluminum. These cogs can take any punishment you can dish out. The deep, tall singlespeed profile will keep your chain in place and make chainline tuning a breeze. Spacer kit and lockring included inside a reusable Niner Small Parts Tin. Lighter than steel, more expensive too! Some nice touches by Niner. The cog comes in a red Niner branded tin can with color matched single speed spacers. The spacers are so light I thought they might be plastic but are probably alloy. Compared my Surly cog, this one feels about half the weight. The bling factor wasn't as great as I thought it would be. At 3x the price, I was expecting a bit more. For single speeding Ninerds that want to treat themselves, this is a must buy! 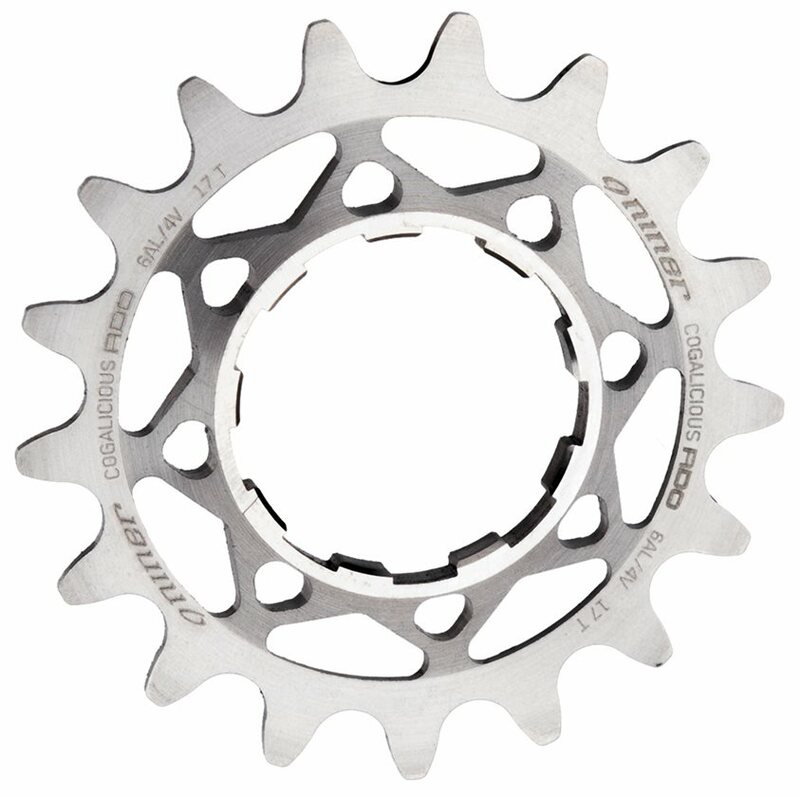 Looks cool, unlike other single speed cog that look cheap. This is a great cog and will last forever, but you might be paying a few bucks extra for the name.